Congregation Emanu-El is an egalitarian Conservative Jewish congregation in Victoria, on Vancouver Island, in British Columbia. 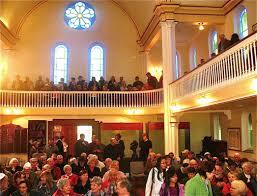 In 2013 we celebrated our 150th anniversary as Canada’s oldest synagogue in continuous use. It has been designated a national historic site. Our synagogue is growing. In 2017/2018 we numbered 240 households and 550 people among our membership. We are an active Jewish community devoted to both youth and adult religious education. We are extremely proud to have a number of individuals capable of chanting from the Torah and many more capable of chanting the Haftarah. We also take pride in educating our youth with great passion. You may hear one of our B’nai mitzvah students chanting the preliminary service, Shaḥarit, a portion of the Torah Parashat Hashavua, or Musaf. You may meet one or more of our young people who have come back from Israel after serving in the IDF. 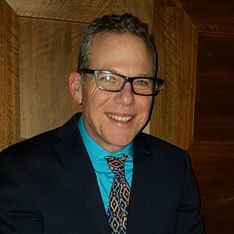 You may even meet one of us who has grown up and become a rabbi or cantor elsewhere in North America after receiving a strong Jewish education in our Hebrew school and through our USY and Kadima Programs. Congregation Emanu-El is a place where deep friendships are forged and nourished. We believe in connecting people to one another, to their Jewish roots and traditions, and in building feelings of connectedness, security and belonging. We welcome visitors from around the world for Shabbat services. Please join us. Congregation Emanu-El is a special shul that is growing and thriving on the far western edge of Jewish North America, here on Vancouver Island. We are a haimish, progressive, traditional shtiebl that is connected with United Synagogue for Conservative Jewry. As the rabbi of Congregation Emanu-El, I am consistently moved by the level of care and support congregants openly give to one another. I am moved by the dedication and commitment that so many congregants hold for the community, ensuring that our synagogue is a righteous and supportive community striving towards holiness. Love and Connection. The congregation strives to be a venue for fostering relationships and emotional wellness. The congregation strives to be respectful of diversity. We believe in connecting people to one another and to the tradition. We try to nourish feelings of belonging and security. We want our synagogue to be a place where life’s sorrows are comforted and life’s joys are shared and celebrated. Meaning and Purpose. We understand that an important role of congregational life is to provide opportunities and venues for asking the deep questions that allow us to make meaning of local and global events, to make meaning of our own lives and the purpose of life. Experience in the congregation should facilitate engagement with Torah and tradition and move us to create meaning from the tradition, and God as inherent in the tradition. Silence, Solitude and Prayerfulness. We want our synagogue to serve as a place of respite, to be a place where we retreat from the realm of the mundane and enter the realm of holiness. We strive to make our synagogue a place for reflection and contemplation whatever the mode; controlled and fertile chaos, quiet meditation, or spirited prayer. Creativity and Expression. The congregation offers multiple means and modes of discovery. The congregation strives to support diverse gateways for integral Jewish expression and the creation of new lenses in which to view life and the world. Forgiveness. It is our hope that the core of the congregation is powerful and strong enough to offer forgiveness. To grant each other “mechila,” forgiveness that encompasses the willingness to re- enter the dance of a relationship together – after wrongs that have been done, or good deeds that never were done, promises made but broken or trusts that have been violated. We are a congregation that does not allow shame, we are a congregation that allows for forgiveness. Transcendence and Integration. As a congregation we strive to support each other’s lives in such a way where we can actualize enlightenment. Where we move beyond perceived limits. Where we meld our own existence in this realm with the realm of God. It is a value for our shul that mystical expression and experience in its myriad of forms, is a possibility in our congregation. If you find yourself in Victoria please come by for a visit. We will welcome you as you are. We look forward to meeting you and sharing some Torah together. The Board of Directors are volunteers who strive to serve the Congregation Emanu-El community. See their bios on the Meet the Board page. We would be delighted to welcome you as a member of Congregation Emanu-El, Canada's oldest synagogue in continuous use. It is the involvement and financial support of people in the community that allow the Synagogue to survive and Jewish life in Victoria to flourish. It is important to keep the chain alive that links us from generation to generation. 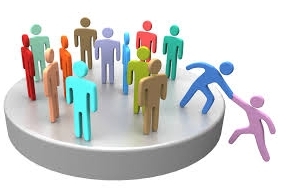 The primary role of the Membership Committee is to sustain and grow Synagogue membership through outreach and contact with past, present, and potential members. Together with the Synagogue Board, the Committee prepares membership policies. This Committee also reaches out to unaffiliated Jewish individuals and families and to inter-married families in the Victoria region. It is our hope to welcome them into Congregation Emanu-El. We wish to build warm, caring and inclusive relationships, and in the process strengthen our community, and by extension, the greater community of Israel. While membership pledges are essential for the financial well-being of our synagogue, no one will be excluded from membership due to a lack of personal finances. Note that membership contributions are considered as a charitable donation for tax purposes. For more information please contact our Membership Chair or the synagogue office at (250) 382-0615.